An increasing number of folks are finding white spots on the back of their tonsils, and they are not entirely sure what to do about it. Thankfully in most instances, they are nothing more than tonsil stones – small accumulations of food particles and other microscopic bacteria that can collect in the tonsil crypts or the tonsils themselves. Tonsilloliths can appear in a number of different places in the mouth. But because they tend to accumulate near the back of the throat, the sensation is often that of something hard and / or lumpy in the back of the throat that seems like it could be easily swallowed, but it cannot. That sensation is almost worse than the tonsillolith itself. But not quite. Nothing is worse than the disgusting little blobs that smell like natural gas mixed with rotten eggs. They can cause all manner of annoying symptoms, the most common of which is bad breath. Removing them is a challenge generally, but on occasion you will likely cough one up at the absolute worst possible moment. Since these tonsil stones are a collection of bacteria, it stands to reason that their continued presence in your mouth could increase the likelihood of infections like tonsillitis. 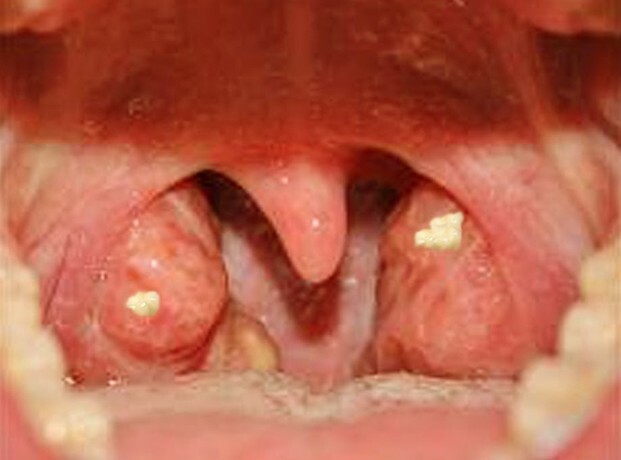 A tonsillectomy will take care of this problem, but don’t be too quick to have your tonsils removed. The procedure tends to be a bit more involved for adults than it is for children. Removal options include Q-tips, pulsing water, trying to gently brush them off your tonsils with a toothbrush, or gargling. There is one other method however, that has proven to be highly effective in the removal and prevention of tonsil stones. If you would like to learn more about removing tonsil stones, just click here.